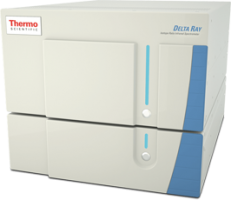 Our Laser-based Isotope Ratio Infrared Spectrometers are the instruments of choice for measuring CO2 concentrations as well as carbon and oxygen isotope signatures of CO2 at ambient concentrations with high precision and sensitivity. The modular design, low weight and small footprint make the analyzer ideal for taking it to the field or on a research vessel, enabling demanding applications like volcano and greenhouse gas monitoring. 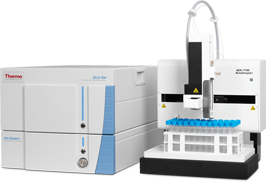 The analyzers also allow the analysis of discrete samples in the laboratory such as head space, or direct injection of small amounts of CO2 via syringes, bags or vials, and can be connected to an autosampler. The IRIS instruments are ultimately designed for real-time measurements and incorporate a Universal Referencing Interface, ensuring calibrated and verifiable CO2 measurements over a wide range of experimental time scales. © 2017 Thermo Fisher Scientific. All Rights Reserved.